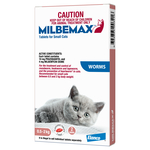 When looking for cat heartworm protection products, you want to make sure your cat is covered. Pet Circle provides a comprehensive range of heartworm prevention products, most combined with regular worming or combination products. Pet Circle is a one-stop location for all your heartworm preventative needs. Heartworm is just as it sounds; it is a parasitic worm that infests the chambers of the heart. When infested with heartworm, signs of heart failure develop including coughing, exhaustion, lack of oxygen, and eventual death. 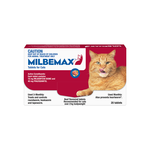 How does my cat get heartworm? Heartworm is spread via mosquitoes. 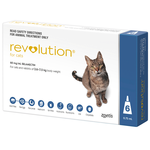 This means that indoor cats are at a risk of contracting heartworm, as are outdoor cats. When an infected mosquito bites your cat, they can transmit heartworm larvae, which travel through your cat's blood stream and mature in the heart and large pulmonary vessels. 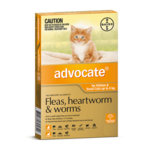 Which heartworm product should I use? 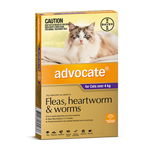 Heartworm protection is available as tablet / pill / chew form, or as a spot-on. 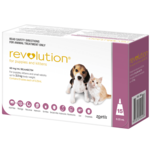 Heartworm protection is included in a number of parasite preventative products including wormer-only products such as Milbemax and Profender, as well as combination products Revolution and Advocate.